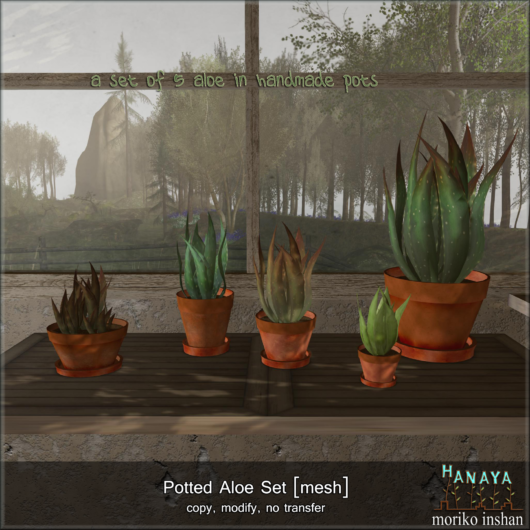 Just a quick post to announce a new release – our mesh Potted Aloe. The set includes 5 different plants in hand-thrown original teracotta pots. Land impact of 6 PE, with the exception of the triple aloe (on left), which is 12. Our release pricing at -Hanaya- inworld store is 50% off – available on July 11, 12 and 13, 2014. This entry was posted in Product Announcements on July 11, 2014 by moriko. They are part of a Summery Flowers wearable bouquet with pose that is the July group gift from -Hanaya-. Also included is a rezzable display version in a sweet little vase. Customer Service area of our in-world store during the month of July. Have a lovely summery day! 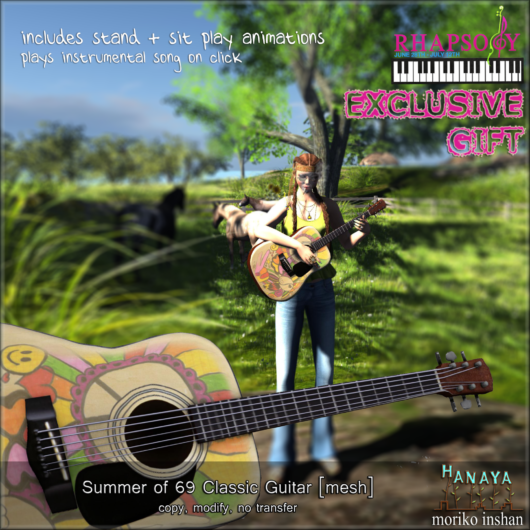 This entry was posted in Freebies and Gifts on July 3, 2014 by moriko.